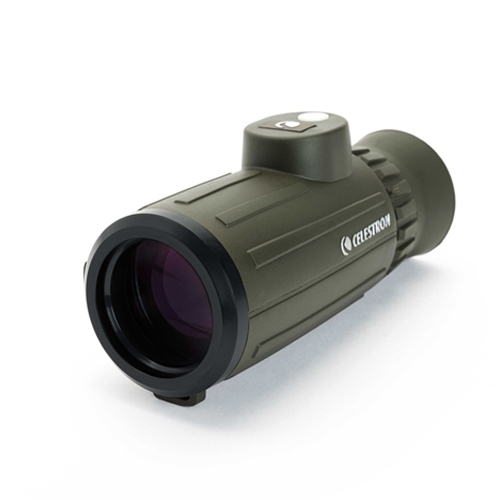 The Celestron 71215 is a cavalry 8x42 monocular features durable rubber covering and rugged construction ideal for hunters, boaters, law enforcement and military personnel. The cavalry has a built-in reticle as well as a built-in compass in the view for taking bearings on distant objects. This 8x42 monocular is waterproof and fogproof for use in inclement weather. Cavalry monocular has generous 42mm aperture that allows bright and crisp view. The Celestron Cavalry 8x42 has many exciting features for users of all types. You can extend the lifetime of your Celestron Cavalry 8x42 with the purchase of a FactoryOutletStore Factory Protection Plan. See the Celestron Cavalry 8x42 product video and gallery images above for more details. FactoryOutletStore stocks a full line of accessories like Celestron Field Guide to Birds of North America, Celestron LensPen - Optics Cleaning Tool, and Firecel Portable Charger / Light for the Celestron Cavalry 8x42 . The Celestron Cavalry 8x42 is sold as a Brand New Unopened Item.